An option for Vision Worksheets is now available in bpQuote! 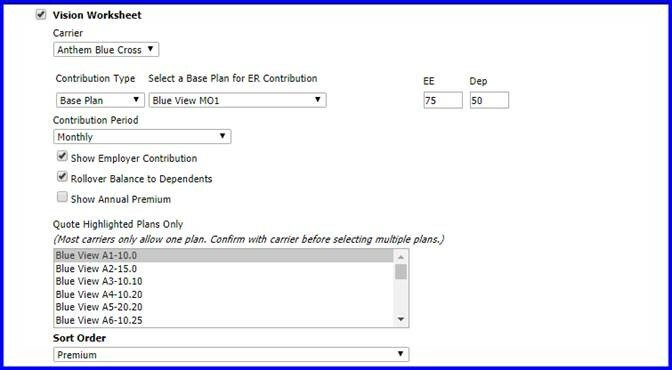 The Vision Worksheets are similar to the Medical and Dental worksheets where the user selects the Carrier, Contribution Scenario, and the Plan(s). For questions or help with a quote, please contact a member of your B&P Sales Team - 888.722.3373.